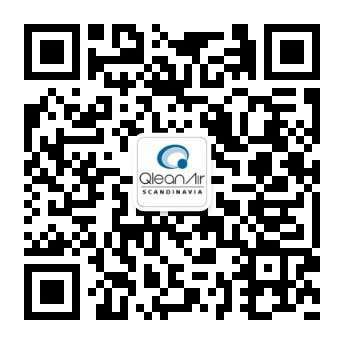 Established in 1987, QleanAir Scandinavia AB is a Scandinavian-turned-multinational producer, developer and supplier of indoor clean air solutions which are acquired throughout the world. Our headquarters are based in Stockholm, Sweden and headed by CEO, Dan Pitulia. Backed by a patented, unique filter technology, QleanAir Scandinavia’s portfolio consists of turnkey clean rooms, air cleaners for industry, offices, the public sector, warehouses and logistics, as well as solutions providing protection against passive smoking. All products are completely free from ionisation, ozone and electrostatic filters and all come certified with a lifetime function guarantee. Our vision, initiative and work ethics all coincide with protecting the environment. We are just a small piece of the puzzle in making the world a better, safer place to live. Our forte is with indoor environments, but our decisions and standards overall add to a better, cleaner way of living. With that, we operate with a Corporate Social Responsibility ("CSR policy"). CSR is a concept underpinned by the idea that a company should take into consideration the development of society as a whole, by thinking about the effect of its activities on customers, suppliers, employees and shareholders, as well as society and the environment as a whole. For more detailed information or a copy of our formal CSR, send a request to us via email.